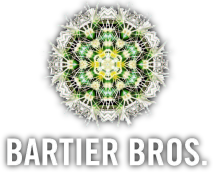 Home » Wineries » Bartier Bros. Inspired by the award winning Okanagan winemaker Michael Bartier, Bartier Bros. Wines are an earnest expression of the Okanagan Valley’s geography, history and people. The Valley’s ethos dictates a proud resilience optimism and self-reliance where the hallmark qualities of hard work and contentment reign. Inspiration is always useful, and the valley has it in spades, but it is the fundamental work ethic that has always fulfilled this inspiration. So it should come as no great surprise to learn it is the indefatigable dedication to the work itself that drives the Bartier Bros’ farming and winegrowing philosophy. Closed until Easter weekend. Open 7 days a week 11am-5pm as of March 30, 2018.